Iran’s missile, technology space and weapons effort has been going since the late 1980s. We know they have a nuclear program, and long range ballistic missile capability. This is their first sucessful satellite launch. North Korea has nuclear weapons and ballistic missiles much like that seen in Iran, but North Korea has failed in its satellite launch attempts…. 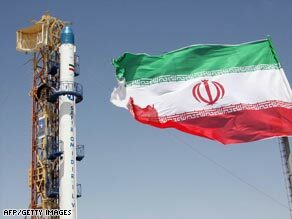 Iran has launched its first domestically built satellite into space. The launch of the Omid satellite, meaning Hope, was timed to coincide with the 30th anniversary of the Islamic revolution and United Nations talks aimed at stopping Iran’s nuclear programme. “Dear Iranians, your children have put the first indigenous satellite into orbit,” said President Mahmoud Ahmadinejad in a broadcast on state television. The launch has highlighted international concerns that Iran will use domestically developed space technology to develop intercontinental nuclear missiles. Tehran is at odds with the international community and the UN over a controversial nuclear programme which Iran has insisted is only for peaceful energy purposes. The United States and European Union suspect that Iran is secretly developing atomic weapons and harbours ambitions to use its home grown Safir space rocket technology to build long-range ballistic missiles capable of carrying nuclear warheads. Omid’s take off comes just a one day before senior diplomats from the UN Security Council meet in Germany to discuss Iran’s refusal to stop uranium enrichment as part of its nuclear programme. Manouchehr Mottaki, Iran’s foreign minister, used the occasion of the satellite launch to criticise Western and UN anti-atomic weapons proliferation embargoes on nuclear and space technology. “The difference between our country and some countries which have these capacities is that we believe science belongs to all humanity,” he said. A U.S. defense official told CNN’s Barbara Starr that the Pentagon detected an Iranian ballistic missile launch on Monday which was apparently delivering a satellite into orbit. SEOUL, South Korea — North Korea is preparing to test fire a long range missile capable of striking the United States, according to media reports in South Korea and Japan this morning. The Yonhap News Agency in Seoul quoted South Korean officials who described satellite image showing a long cylindrical object being transported on a train through the North Korean countryside. The sinister object has been identified as a Taepodong-2, an intercontinental missile with a range of more than 4000 miles, capable of crossing the Pacific and striking targets in Hawaii or Alaska. Related: North Korea seeking attention? Losing more than is gained has been a consequence of arms build-ups by Russia in the past. Some say the Soviet Union failed because the arms industry bankrupted other potential economic sectors. Now the old Soviet war material is old and needs to be replaced. But Russia can ill afford to rebuild what it wants, when it wants, despite the economic slow-down in the U.S., said Member of the Russian Academy of Sciences Alexei Arbatov…. MOSCOW. Dec 25 (Interfax): Moscow’s potential withdrawal from the Russian-U.S. Treaty on Intermediate and Shorter Range Missiles in response to the potential deployment of U.S. anti-missile defense elements in Europe will not benefit Russia, Corresponding Member of the Russian Academy of Sciences Alexei Arbatov said at the presentation of a book entitled “Nuclear Proliferation: New Technologies, Arms and Treaties” in the Moscow Carnegie Center. He warned about the economic consequences of this move. “We will lose more than we will gain,” Arbatov said. This is not just about the budget but also about security, the scientist remarked. “Quite obviously, there are circles in the West, NATO, Europe and the United States, which would welcome this scenario because this would untie their hands,” he said. 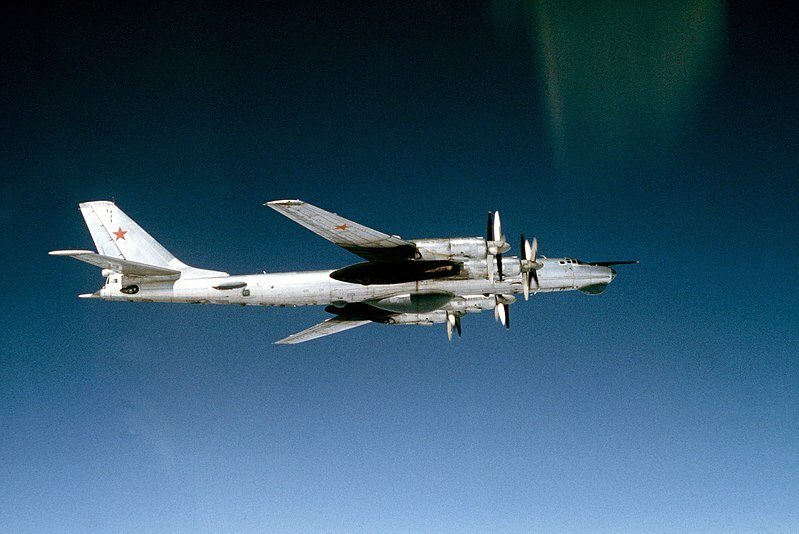 This old Soviet-era Bear bomber is old, takes a lot of money to keep flying and has minimal strategic value in today’s world, experts say. In Arbatov’s opinion, this move would mean that NATO member-states, especially European allies, would unite in the face of a potential Russian missile threat. In addition, the United States might retaliate for Russia’s withdrawal from the treaty by redeploying their medium and shorter range missiles in Europe. “It will have an excuse for returning Pershings, ground-based cruise missiles, and perhaps the latest, more sophisticated systems to Europe,” he said. These missiles might reappear not in Germany, Italy or Britain, where they were deployed in the 1980s, but for example in Baltic countries, Poland or “maybe even in Georgia”, Arbatov said. You are currently browsing the archives for the ballistic missiles category.